The Pod environmental Bluetooth data logger records and wirelessly transmits temperature data and excursion alerts to your smartphones and tablets; no cables or readers required! 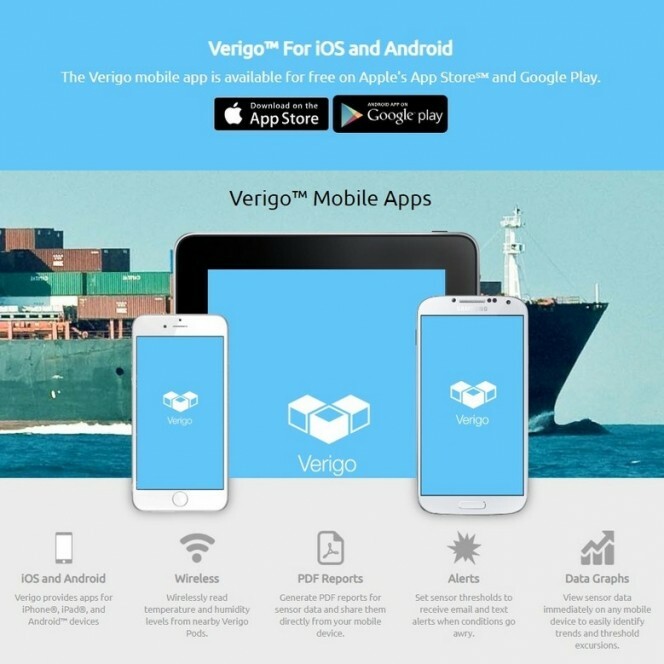 Simply download the Verigo app for Android™ or iOS™ to your smart device and start using your Pod. 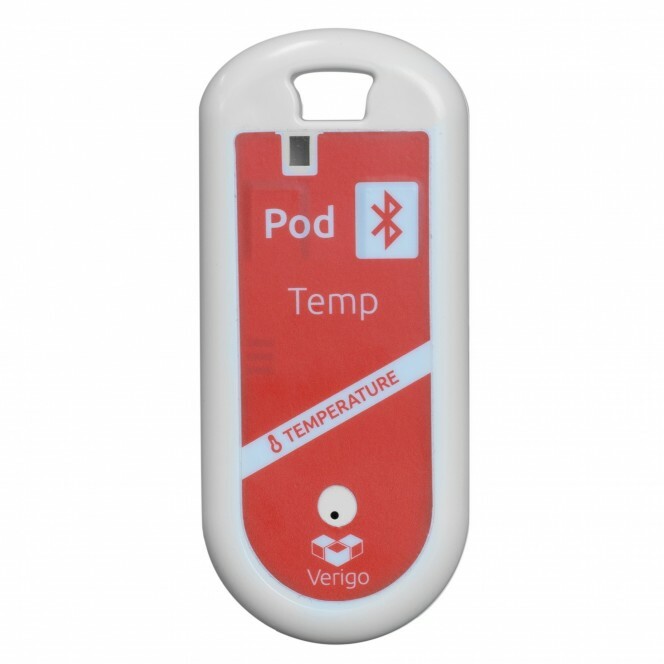 Users can customise their Pod for each monitoring session by inputting a distinct name, scanning a product barcode, setting temperature thresholds, and fully configuring for any particular application. 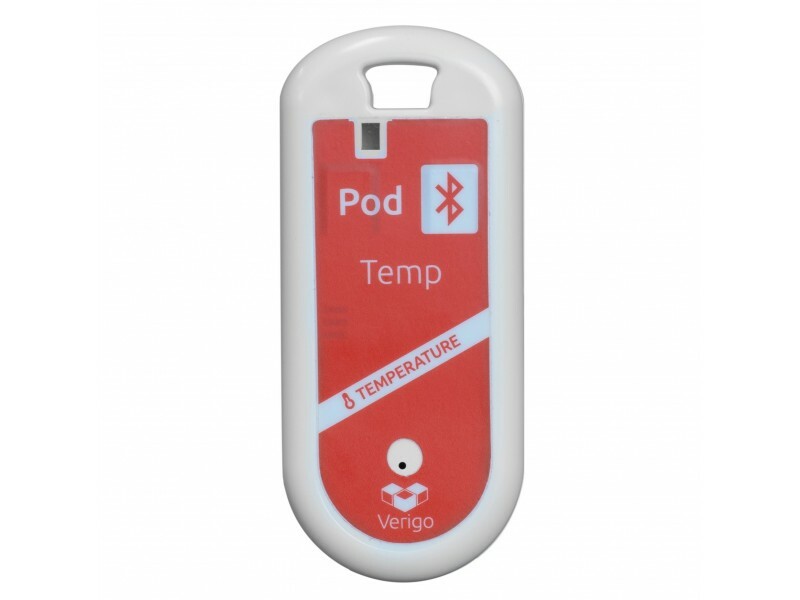 During use, the mobile app allows users to view all Pods up to 30 meters (100 feet) away in real time with their current temperature readings and alerts. Want to see more details about a particular Pod? 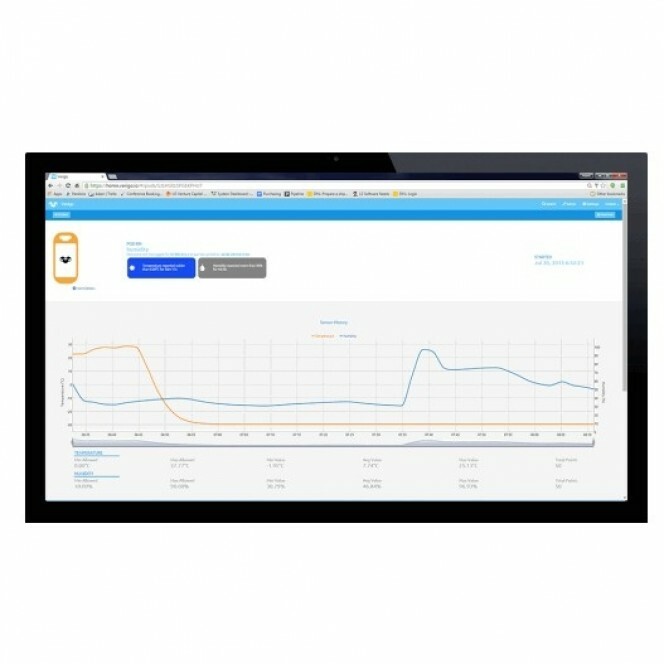 Wirelessly connect to your Pod to view full data graphs and detailed alerts indicating threshold excursions. For further analysis, use the app’s share function to email data as a PDF or CSV straight from your mobile device. All data is stored in the cloud automatically via Verigo’s secure Web App, allowing users back at the office to search complete records of all Pod data, view location points, and generate PDF and CSV files for data review and analysis.